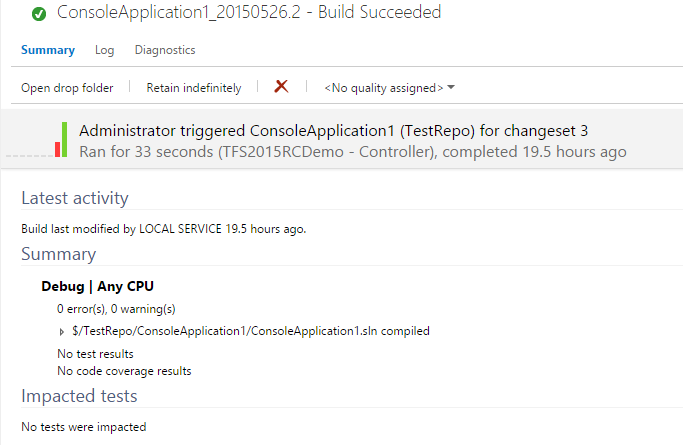 I’ve been messing around TFS2015RC these days, and one of the coolest new feature is the Build vNext Preview. 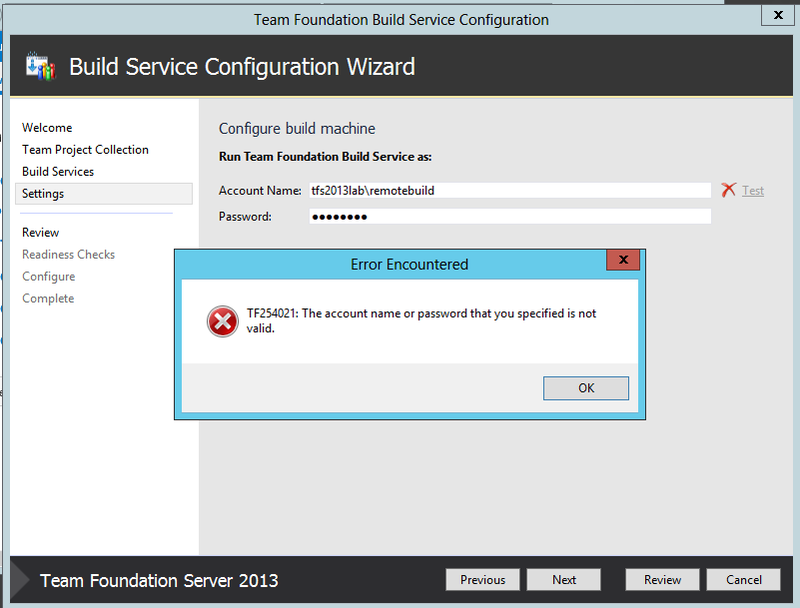 However, it is not smooth sailing and one of the issues that cropped up was that the Build vNext Agent failed to install correctly during the setup process because I forgot to set up the proxy server, which led to the agent not being able to locate the TFS server (TF402467). Heading back into the TFS Admin Console confirms this. Attempts to “Change Account” or set the “Work Folder” would fail because of a “corrupt setting.json” file. Digging into “C:\Program Files\Microsoft Team Foundation Server 14.0\Build” would show a setting.json with seemingly empty values. However, a ConfigureAgent.ps1 seems promising. 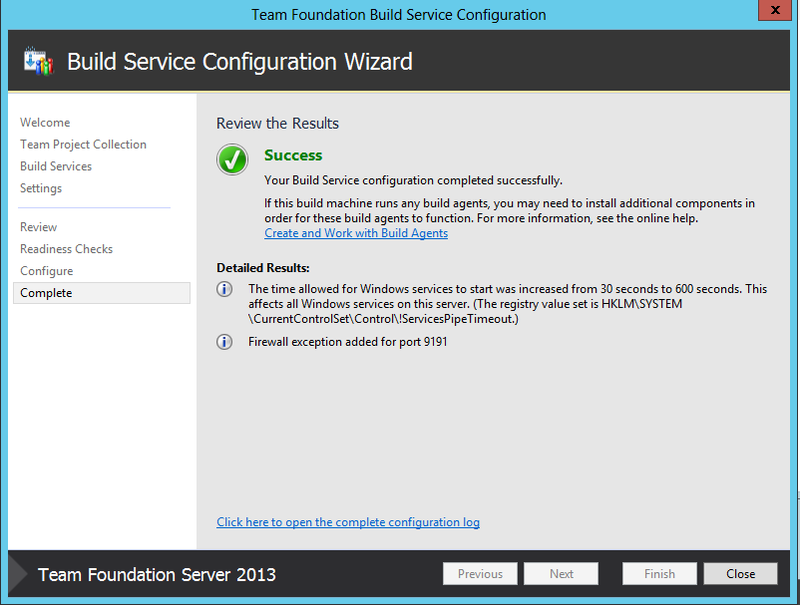 Service vsoagent.localhost.Agent-TFS2015RCDEMO has been successfully installed. 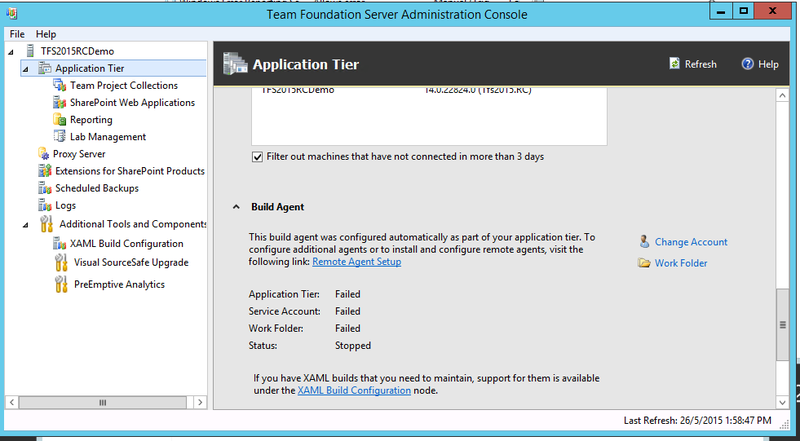 Jumping back to the TFS Console Admin, we see that the Build vNext Agent has been set up and running. Yay! Hope this helps someone! With some spare time on hand, I wanted to explore if there we were to mix domain-joined build servers with non domain-joined ones, since this could open up a couple of interesting possibilities. 1. Ensure that the target TFS server is reachable, so that we can put proxy and firewall issues aside. 3. 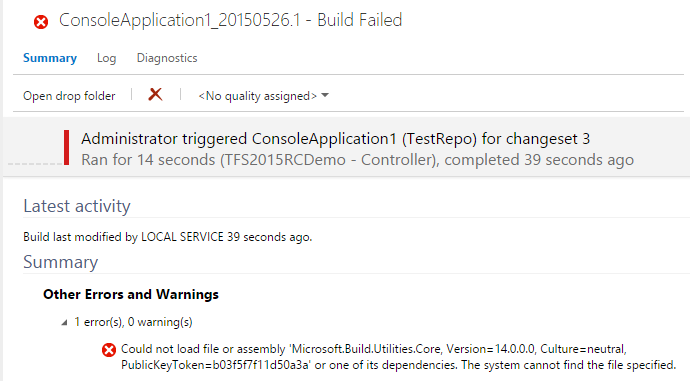 Enter the credentials that your build service will run as. Ensure that the necessary permissions have been granted, otherwise you’ll get a TF254021 surprise. 4. Continue with the installation, and you’re done! 5. 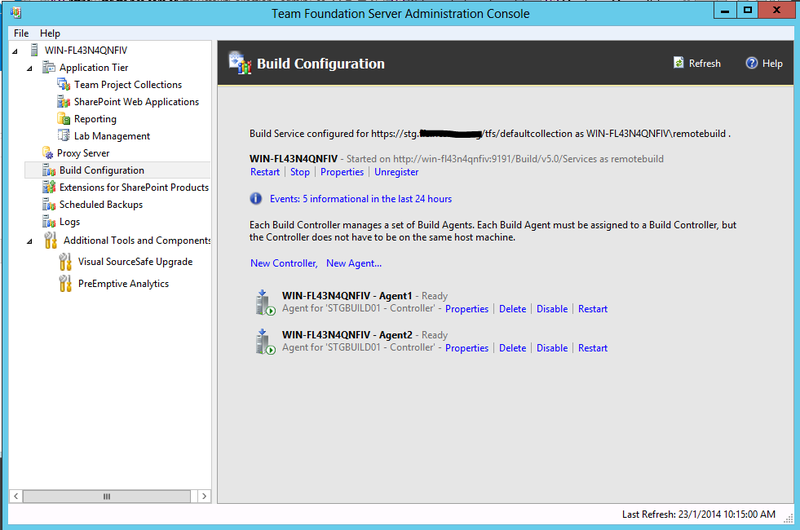 So now you have a non-domain build service (with 2 agents) connected to a domain-joined TFS and Build Controller. #To set the permissions, make sure that your TFS target is not a Domain Controller. Create a local account (e.g. 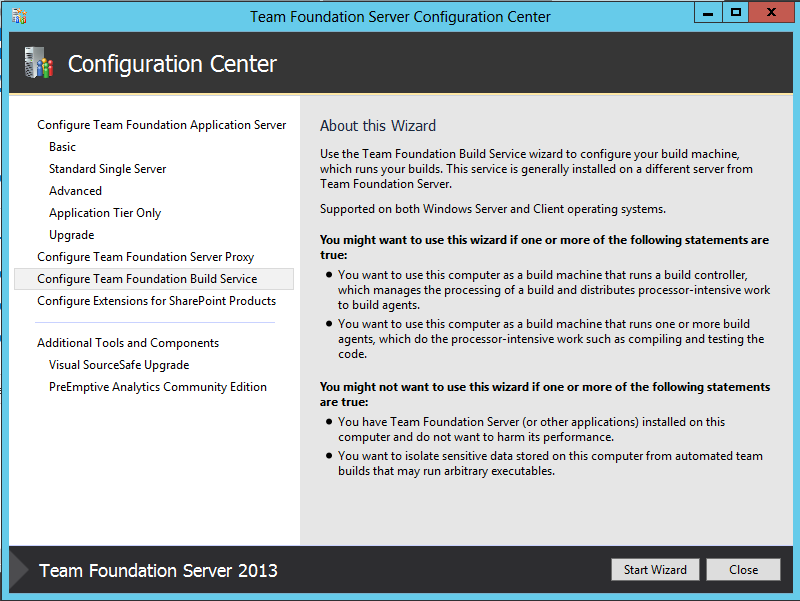 remotebuild) on TFS, your build controller and your Non-Domain Build Server. Make sure they have the same password. 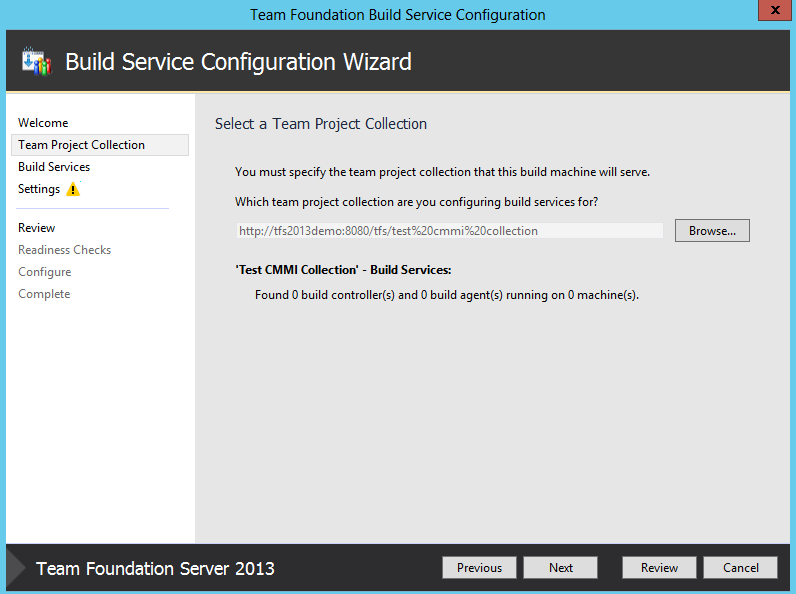 I also added the account to the Project Collection Build Service. 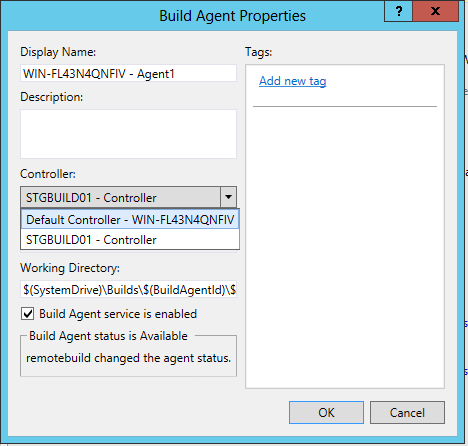 # Make sure that communication on port 9191 from Build Controller to your Build Agent is enabled.